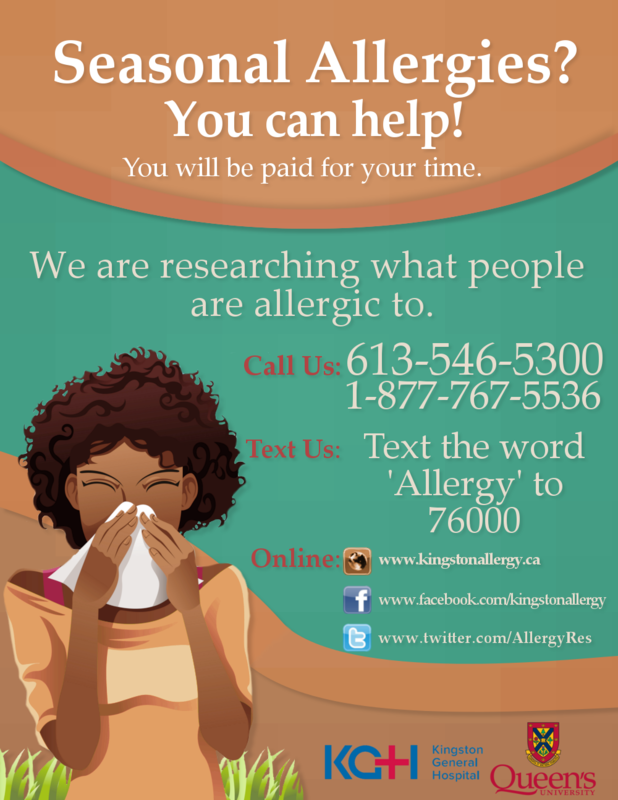 Kingston Ontario is home to a highly regarded, internationally recognized medical research facility studying ways to help allergy sufferers.Your participation in our current and upcoming studies will help advance critical data needed for new allergy treatment choices. Compensation is provided and varies from study to study. Do you have asthma? You may also have allergies that are contributing to your symptoms. 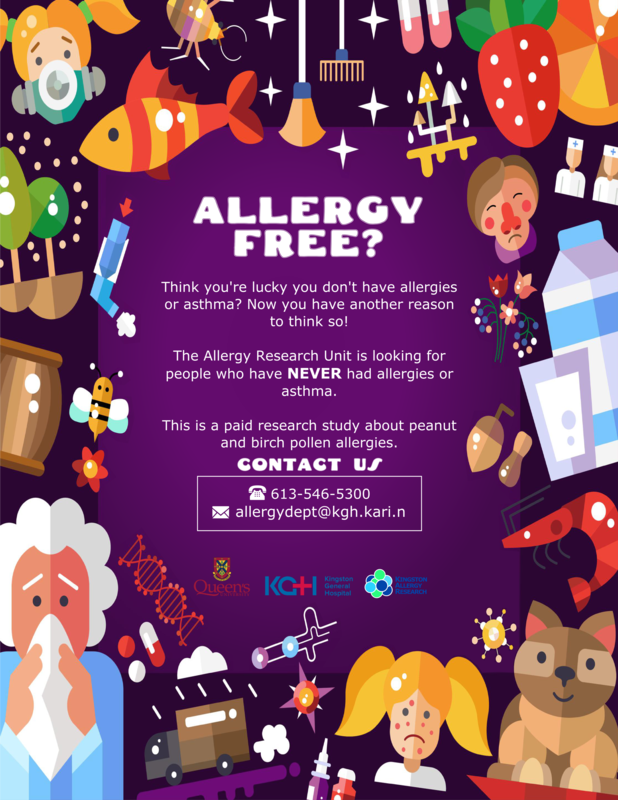 Help us with our research study and find out what you’re allergic to. Do you count yourself lucky that you don’t have allergies? You should! But you can still help! 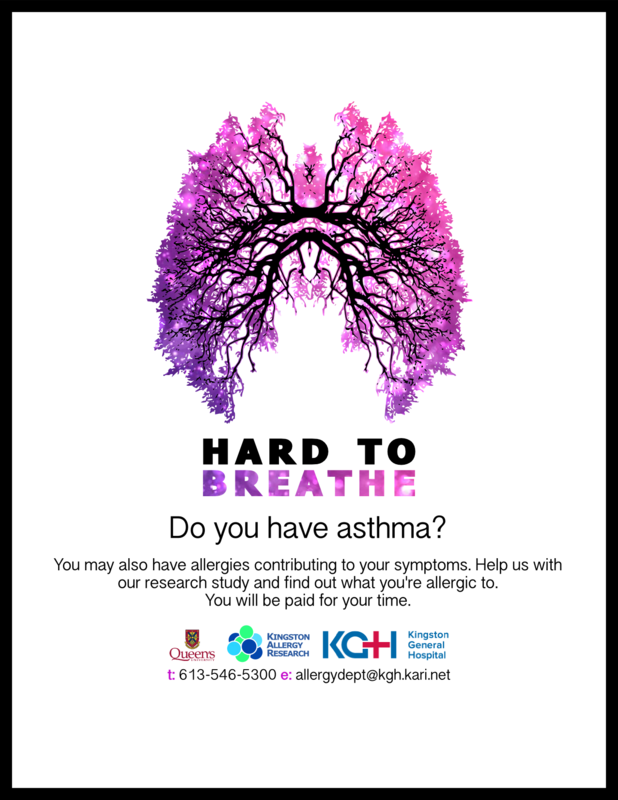 The Kingston Allergy Research Unit is looking for people who have NEVER had allergies or asthma to assist with allergy research. Contact us to find out how you can help. Runny nose, sneezing, and itching eyes? If that sounds like you, chances are you’re among this one in five people who suffer from allergies. 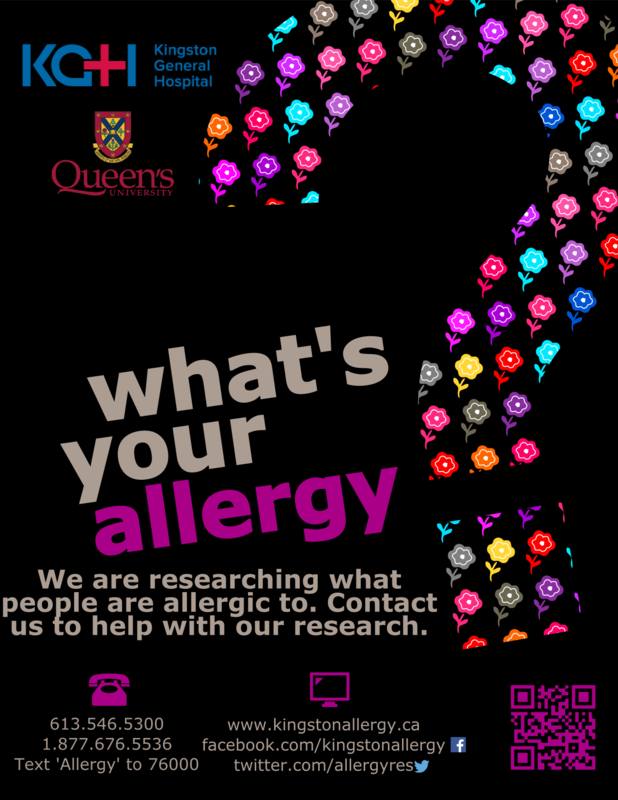 Kingston General Hospital Allergy Research Unit is currently researching what the people of Kingston are allergic to. If you are between the ages of 18 to 65, live in Kingston area and have allergy symptoms, we would like to hear from you. 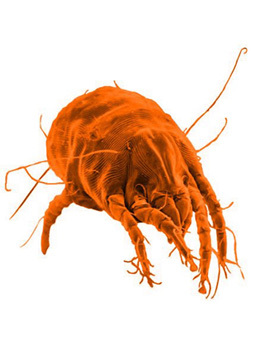 We are researching what people are allergic to. Contact us to be a part of our research. You will be paid for your time. Do you have peanut allergies? We’d love to hear from you! 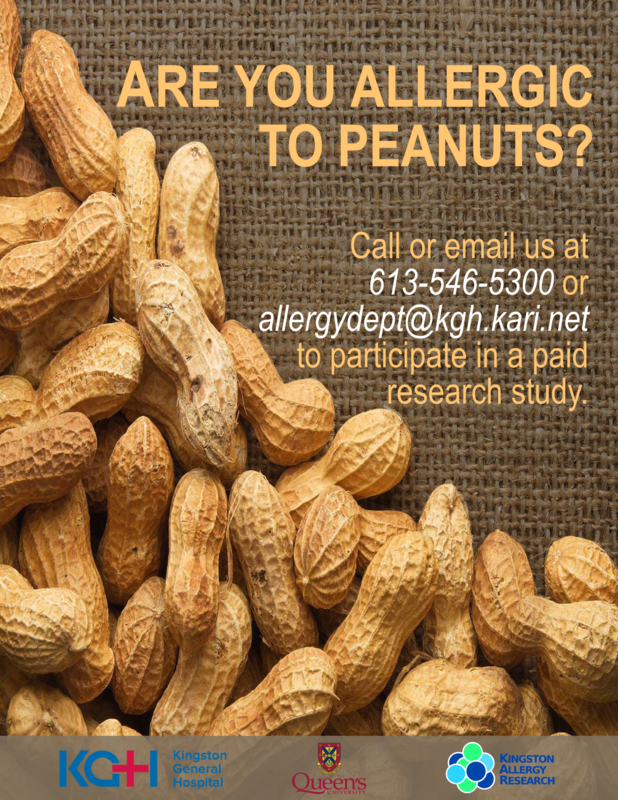 We are looking for individuals with peanut allergies to assist with a paid research study. Contact us today! 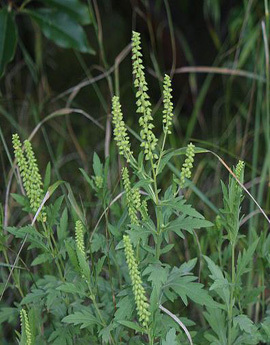 Ragweed is one of the most prevalent allergies in the Kingston area. Ragweed pollinates from mid-August until the first frost. Typically the peak of the season is in the first 2 weeks of September. Symptoms of runny nose, sneezing, itchy watery eyes, nasal stuffiness and even asthma flare ups can occur as a result of ragweed allergy. Please note, participating in our studies is not a substitute for seeking advice from a practicing allergist. Speak to your doctor about what may be best for you.